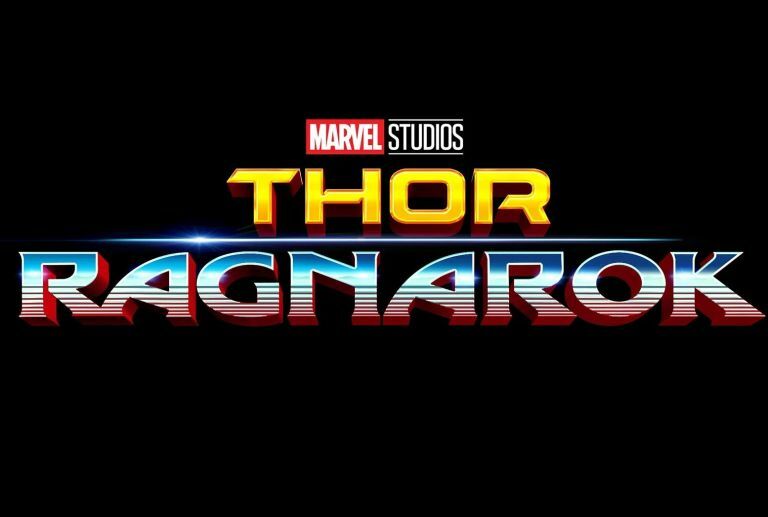 This week, it was a Marvelous Monday when the Thor: Ragnarok teaser trailer debuted, giving us our first sneak peek at the third film for our favorite golden-haired god. How did it all shake out? A few of us assembled to give our thoughts. Ever since Marvel announced that the next Thor film would be titled Ragnarok, I've been worried. Extremely worried. I don't know much about Thor's comic book history or Norse mythology, but I know what Ragnarok means: the end of the world (or something like that). So I've been worried we would receive yet another devastating, heart-wrenching, soul-crushing superhero movie. But with the recent trailer for Thor: Raganrok, some of that worry has been subdued. Basically, upon watching the trailer, I was left in shock and with a thousand thoughts running through my head. Here is a short list of those thoughts. Who knew that Cate Blanchett could become even more badass? Who knew?! Why is the font all retro sci-fi-y? I like. Why in all the nine realms are Jeff Goldblum and Karl Urban in this film? How did they get here? I'm sad to see Thor's luscious locks go, but dang son, the short hair works too. Wow. BRUCE. OH MY GOSH BRUCE. "He's a friend from work." I can't stop laughing. I don't want to talk about Loki. 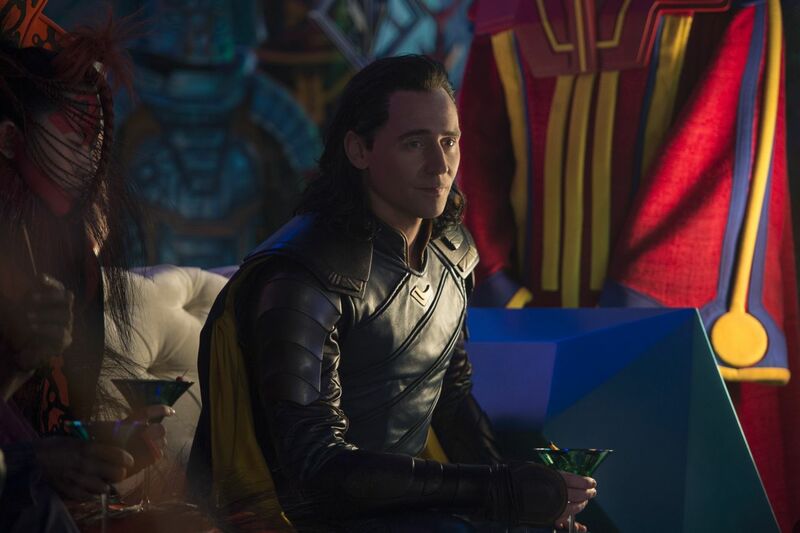 Okay, I want to talk about Loki. I knew he'd be back, but I wasn't expecting him to look so pretty and magical and intense. Like get out, son, I can't. Basically, that trailer was not what I was expecting, and I'm dumbfounded. What did I just watch? I never expected to be this freaking excited about a Thor film, and they didn't even show Doctor Strange either! (Gosh, I need more films with Benedict Cumberbatch and Tom Hiddleston in them.) 2017: the year where I am unexpectedly excited for superhero films I didn't think I would be excited for. I'm ready, bro. Knowing absolutely nothing about Ragnarok (Marvel Uni version), other than it having to do with the destruction of Asgard, I wasn’t quite sure what to expect. 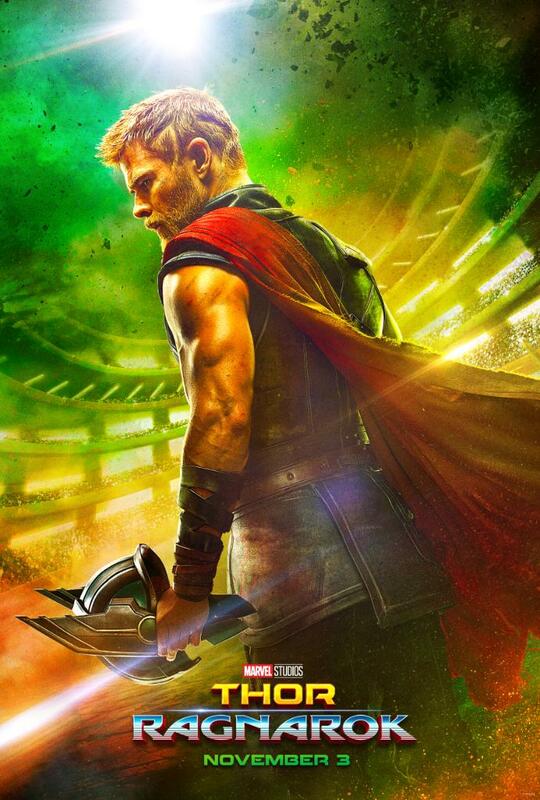 Thor was meh, Thor 2 was a bit better, but given Thor is one of my favourite characters, I have high hopes for Ragnarok. My very first thought, of course, is that Cate Blanchett kills it in the movie. She looks amazing, and she destroys Thor’s Hammer? WHAT?! In true Marvel Studios fashion, there are indicators despite the movie’s clear dark overtone (complete annihilation of an entire race) there will be some great humour. The scene with Thor and the Hulk pretty much had me in stitches, and I may have watched it on repeat a few times. 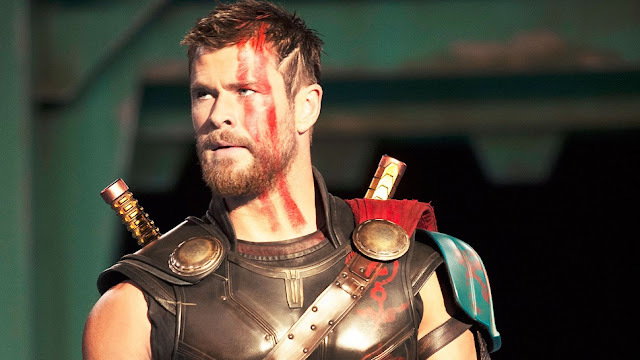 I am really digging Thor’s new look. I feel like they take him from ‘pretty-boy god’ to badass mofo of a warrior, which is essentially what Thor should be. Jeff Goldblum as a bad guy is also pretty wicked awesome. Overall, the cast is pretty impressive. They’ve brought some pretty big names on board for this one, and they are ones that I’m pretty sure are completely incapable of disappointing in any film. The premise is terrifying and exciting, and of course one wonders how Thor is going to pull off defeating such a powerful enemy without the help of the other Avengers. The movie looks good. Good enough to redeem the entire Thor franchise. The costumes look amazing, the graphics are spectacular, and best of all, ABBBBBBBSSSS. Okay, not really, I was just channeling my inner Honest Movie Trailers voice there. But really, best of all, we have Chris Hemsworth, Jeff Goldblum, Mark Ruffalo, and Karl Urban in one movie, so we definitely won’t be short on eye candy. As far as the story goes, they have the potential to totally kill it. 1. Ugh why do we have to have another Thor movie... wait. 2. Is... is that CATE BLANCHETT??? 3. AND THE TRAILER MUSIC IS IMMIGRANT SONG??? THIS COULD BE AMAZING. I'm wondering what the heck is going on with Asgard??? "Asgard is dead"??? Noooooo! Not entirely sure who Cate Blanchett's character is either. And why was Loki watching Thor in the arena?? Are we going to get another "Yeah, I'm a bad guy Loki except HAHA JK I'M A GOOD GUY BECAUSE BROTHERLY LOVE"?? (Can we... not do that again please.) And why did they cut Thor's hair??? AND HOW DID THE HULK FIND HIMSELF IN A SPACE ARENA?? SO MANY QUESTIONS. Yeah... okay, I think for the first time ever I'm actually looking forward to a Thor movie. Amazing. Thor and I have had a complicated relationship. I love him, but he's gotten kind of overshadowed by his other Avenger siblings. I loved his first movie, but I wasn't as fond of his second. So, I wasn't super excited for Thor: Ragnarok. Marvel singlehandedly made me excited for this movie in under two minutes. Jeff Goldblum? Cate Blanchett? Fan favorite Mark Ruffalo? Um, yes please. It helps that the soundtrack was just right, the visuals were stunning, and the humor was on point. I laughed so hard at the scene with Thor and the Hulk. I absolutely cannot wait to see how it all shakes out. But the seriousness of this trailer was not lost on me. I mean, Cate Blanchett was badass, and she freaking shot Mjolnir to pieces. She also destroyed Asgard, too, which can only mean bad things. And as I told H. Grace, who I'm also going to echo, Cate Blanchett could kill me looking like that and I would thank her. Heimdall is back too, which I'm super glad about! But... let's talk about Loki for a second. He looks... good? Great? Which is saying something because I haven't thought that before. Maybe I've just been without Loki for far too long! It's good to have him back. The stylistic choices of the trailer--the fonts and the design--really gave this movie a fun appeal as well. It's a far cry from the dark world of Thor 2. I'm definitely looking forward to this one. What do you think of the trailer? React with us in the comments!